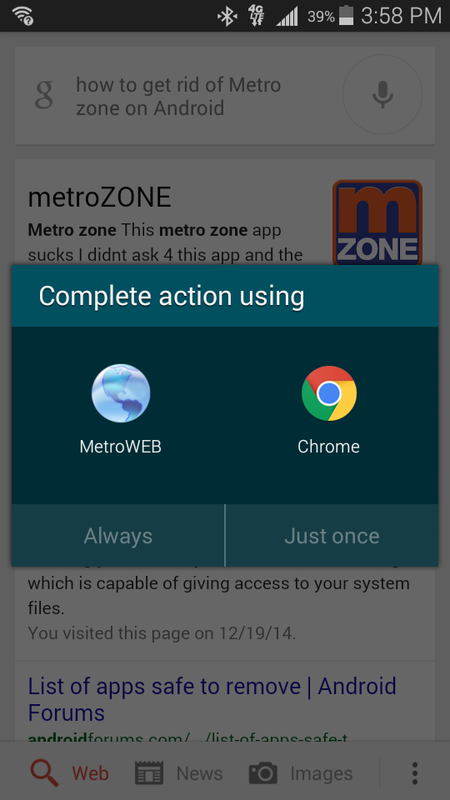 Below is a set of screens that occur often on the Android phone. Entitled “Complete action using”, their purpose is to have the user select a program for opening a link or file. For a new user, this screen is unexpected, thus it deserves a basic explanation and there is plenty of room for one. The screen is followed by the following screen, which is also unexpected. 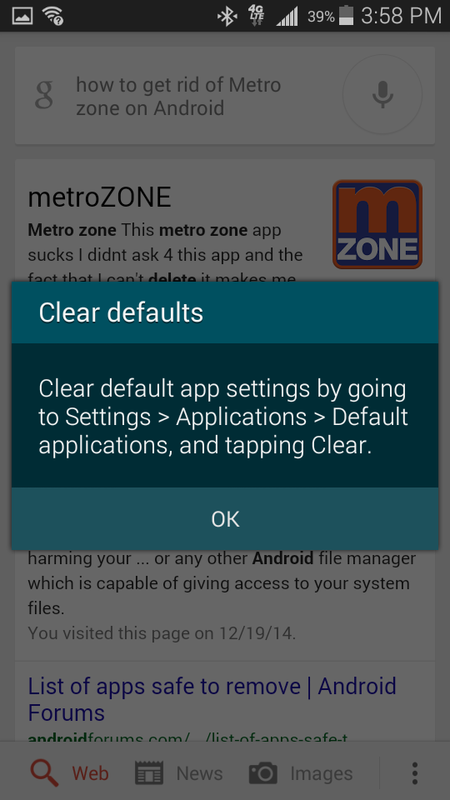 I think its purpose is to inform the user of where they can clear the preference that they just set. Not sure about that though.